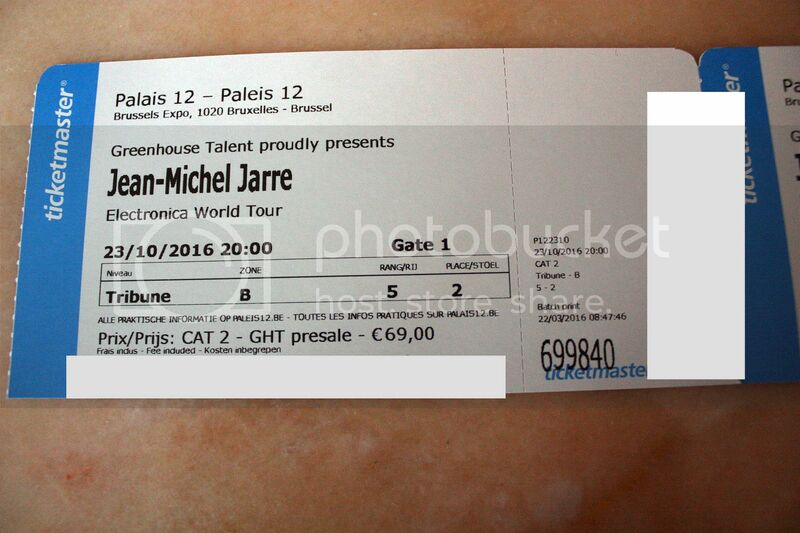 Many thanks to MiVo from the Dutch Jean Michel Jarre-forum! I got my tickets (2, for me and my dad) for Brussels. Can Jarre sold out there? Muse play last week there and they play 4 times sold out! Got my tickets today for the concert! Notting about "Guests" on this ticket!